Oprah began her broadcasting career at WVOL radio in Nashville while still in high school. At the age of 19, she became the youngest person and the first African-American woman to anchor the news at Nashville’s WTVF-TV. She then relocated to Baltimore’s WJZ-TV to co-anchor the “Six O’Clock News” and later went on to become co-host of its local talk show, People Are Talking.In 1984, Oprah moved to Chicago to host WLS-TV’s morning talk show, AM Chicago, which became the number one local talk show—surpassing ratings for Donahue—just one month after she began. 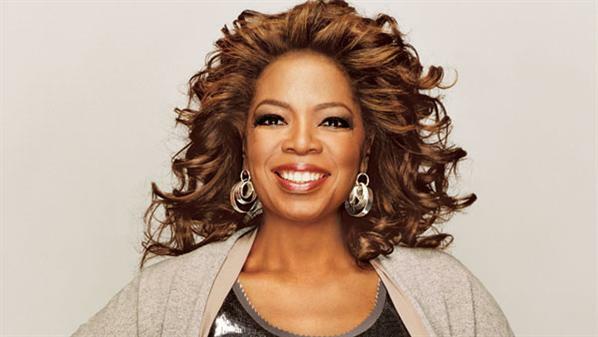 In less than a year, the show expanded to one hour and was renamed The Oprah Winfrey Show. It entered national syndication in 1986, becoming the highest-rated talk show in television history. In 1988, she established Harpo Studios, making her the third woman in the American entertainment industry (after Mary Pickford and Lucille Ball) to own her own studio.Produced by Oprah’s Harpo Studios, The Oprah Winfrey Show entertained, enlightened and uplifted millions of viewers for 25 years. The show reached more than 40 million viewers a week in the United States as the top-rated talk show and was licensed to 150 countries internationally.